As we’ve said, we are really excited about the Dreaming In Technicolor film showcase at the TIFF Bell Lightbox this year. Among the films being shown are three musical spectaculars: Singin’ in the Rain on June 19th, Meet Me In St. Louis on June 21st, and The Wizard of Oz on June 27th. All three will be presented in 35mm, with The Wizard of Oz screening on an archival print. Besides being innovative change-makers in the film industry through their use of Technicolor and their musicality, they each hold one very valuable characteristic in common: Arthur Freed. Though best known and recognized for his hand in An American In Paris and Gigi, Arthur Freed wet his feet with MGM as an uncredited associate producer of The Wizard of Oz in 1939. Known for his memorable lyrics, he wrote most of the songs for Singin’ in the Rain and several for Meet Me in St. Louis. After The Wizard of Oz, MGM created for him his own “Freed Unit” of producers. They developed a large portion of the mainstay films within the musical collective that emerged from their heyday, making MGM the lead developer of film musicals. The Wizard of Oz, released in the U.S. on August 25th, 1939, was directed by Victor Fleming and adapted to the screen from Frank L. Baum’s book by Noel Langley, Florence Ryerson, and Edgar Allan Woolf. 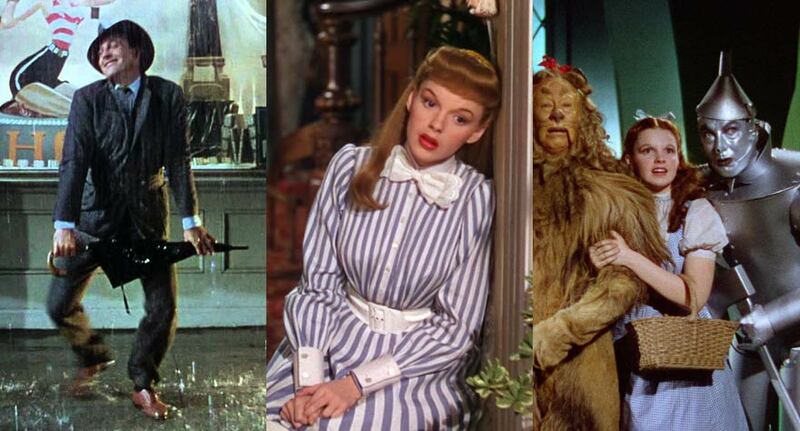 It starred Judy Garland in her first major role as hapless and innocent Dorothy Gale, who travels by way of twister to the land of Oz where she meets the confused scarecrow (Ray Bolger), the stiff Tin Man (Jack Haley), and the Cowardly Lion (Bert Lahr). To get home, and to get each those parts of themselves they feel they are lost without, they set off to find the great wizard, played by Frank Morgan. Though gifted with the magical ruby-red slippers by Glinda the Good Witch (Billy Burke), along the way they are beset with many obstacles wrought by the Wicked Witch of the West, played by Margaret Hamilton. One of the major changes from the book was altering Dorothy’s originally silver shoes to their now iconic ruby-red. This was done to take advantage of the new Technicolor process, which was also the reason behind their showing Dorothy’s farm life in classic black and white and only alternating to color when she arrived in Oz. Technicolor productions required a greater amount of lighting than their black and white counterparts. Often the studio lights on the set of The Wizard of Oz exceeded 100 degrees Fahrenheit. Several of the cast members, in heavy costume and make-up, required extra measures taken to keep from over-heating, and some even suffered permanent eye damage from the bright lights. This was one thing that added a significant amount to the overall budget for a movie filmed in Technicolor. 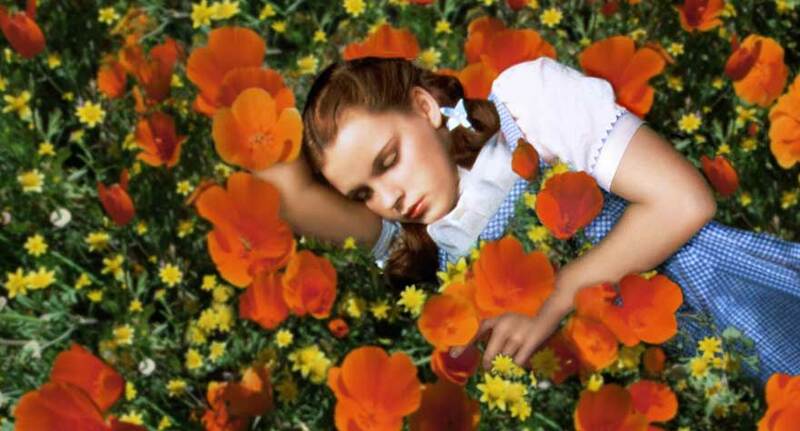 The estimated budget for The Wizard of Oz was $2,777,000. Second only to Going My Way, it was one of the highest-grossing films of the year. The Wizard of Oz won two Oscars that year. One for Best Original Song with “Somewhere Over the Rainbow,” and the other for Best Original Score. It was nominated for four more Oscars, including Best Picture, Best Cinematography, Best Art Direction, and Best Special Effects. 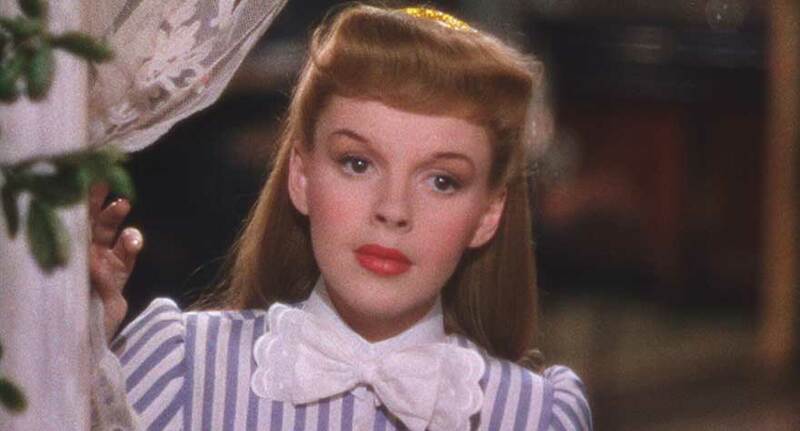 Judy Garland was also awarded a Juvenile Academy Award for her work in both this and Babes in Arms, which was released that same year and was Arthur Freed’s first solo project. It was selected by the Library of Congress to be preserved in the National Film Registry for its cultural significance in 1989. Five years after working with Judy Garland for The Wizard of Oz and Babes in Arms, Arthur and his “Freed Unit” produced Meet Me in St. Louis, written by Irving Brecher and Fred Finklehoffe, which premiered November 22, 1944 in St. Louis, Missouri. Directed by Vincente Minelli who would meet Judy Garland for the first time on this set and marry her just a year later, this was only Garland’s second color film after The Wizard of Oz. It also starred child star Margaret O’Brien who would receive a Juvenile Academy Award for her work in this picture, though it was stolen from her and lost for nearly 50 years before collectors found it at a swap meet and returned it. Cast alongside Garland and O’Brien were Mary Astor, Lucille Bremer, and Tom Drake. Based on a series of short stories titled “5135 Kensington” by Sally Benson and published in The New Yorker magazine, Meet Me in St. Louis was nominated for four Oscars in 1944 including Best Screenplay, Best Color Cinematography, Best Musical Score, and Best Original Song for “The Trolley Song,” and was selected by the Library of Congress for preservation in the National Film Registry for its cultural significance in 1994. “Have Yourself a Merry Little Christmas” won an ASCAP Film and Television Music Award for Most Performed Feature Films Standard in 1989. Arthur Freed’s voice can actually be heard on the film as he dubbed the voice for Leon Ames in the song “You and I,” written by Freed and Nacio Herb Brown. The last of this magical, musical trifecta was a crowning point in Freed’s career and MGM’s musical history. Singin’ in The Rain was released in the U.S. on April 11th, 1952, and starred Gene Kelly, Donald O’Connor, and Debbie Reynolds as silent actors trying to transition to “talkies” in 1920s Hollywood. 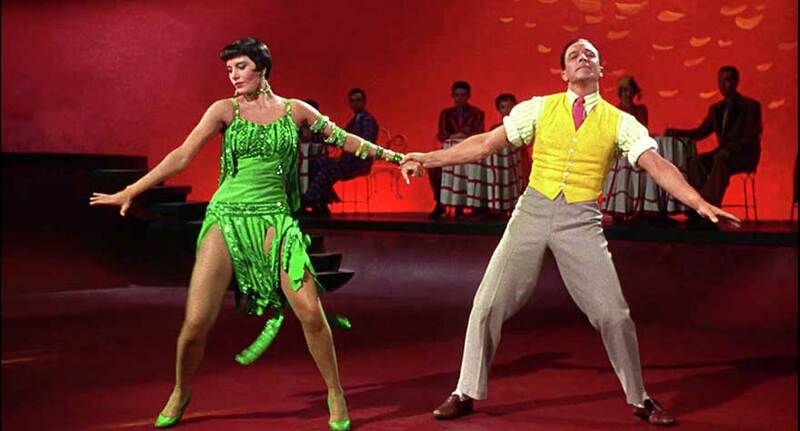 Directed and choreographed by Kelly and Stanley Donen, it was nominated for two Oscars that year including one for Jean Hagen for Best Supporting Actress for her role as Lena Lamont, and one for Lennie Hayton for Best Music and Score in a Musical. Donald O’Connor won a Golden Globe for playing accompanist and self-proclaimed funnyman Cosmo Brown. This topped the most successful of all of the “Freed Unit” musical spectaculars churned out by MGM, the brainchild of producer Arthur Freed. There is much about this beloved classic that is not commonly known. For example, while most of us recognize all of the songs only from Singin’ in the Rain, and probably assume they were written specifically for this movie, all but one song, “Moses Supposes”, was an original at the time of the movie’s release. Its namesake song, for example, was featured in 1929’s Hollywood Revue of 1929, and the famous “Good Morning,” which outed Lina Lamont as a terrible voice, was from 1939’s Babes in Arms. Most have heard that the iconic scene with Gene Kelly’s Don Lockwood splashing through puddles while singing in the rain was filmed over the course of three days, and Kelly was running a high fever the whole time, but not many would guess that Debbie Reynolds, playing Kathy Seldon, didn’t have much dancing experience before Singin’ in the Rain, and was even criticized to the point of tears by Gene Kelly. Rumor has it Fred Astaire found her off-set crying and began tutoring her. It might explain why her feet were bleeding at the end of the shooting of the “Good Morning” dance scene. TIFF has truly picked some gems to showcase in their Dreaming in Technicolor series, but these three are not only masterful in their cinematic scope. They are also wonderfully told stories, with beautifully sung songs, and feature some of film’s most talented treasures. These movies are essential viewing to anyone interested in mastering their understanding of the movie musical oeuvre. MGM and Arthur Freed had a period in film history, and our history, that colored the big screen with light, paint and spectacular music. Through World War and famine and stark reality, they made something wonderful beyond escapism, and to this day have provided us worlds we can escape to. A preview of TIFF's epic, glorious tribute to Technicolor classics.